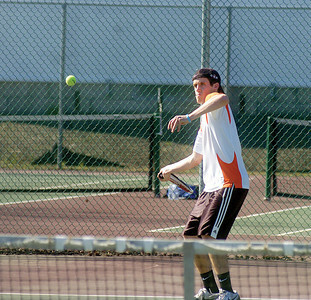 Danville's Zach Raker serves during the No. 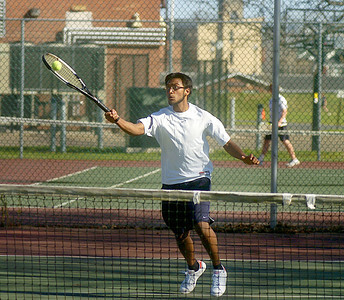 2 doubles match against Selinsgrove on Wednesday afternoon. 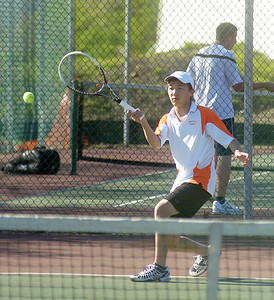 Danville's Chris Zhang hits a shot back to Selinsgrove's Brady Fries during their match on Wednesday. 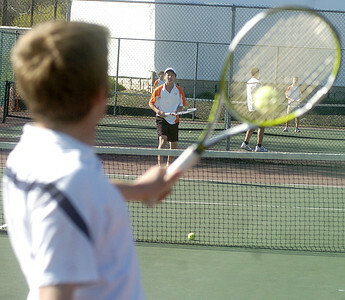 Danville's Steven Zhang returns a serve from Selinsgrove's Tyus Ludwig. Kyle Gruss winds up to hit the ball during his No. 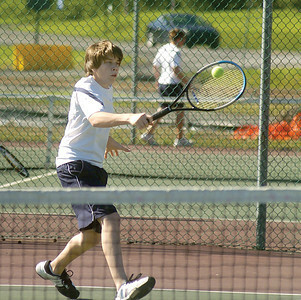 2 signles match on Wednesday. 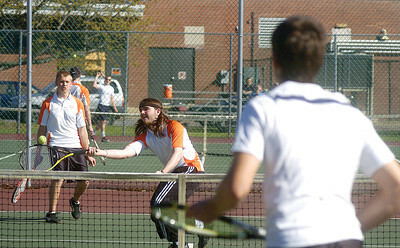 Danville's David Gilliam gets the ball at the net with his partner Zach Raker backing him up, Selinsgrove's Theron Fravel waits for the return. 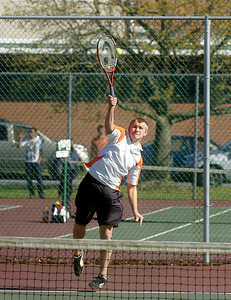 Brady Fries hits a backhand shot during his No. 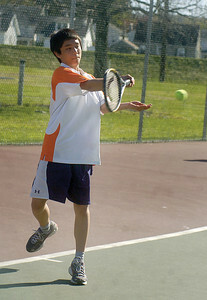 3 singles match against Danville's Chris Zhang on Wednesday afternoon.